Inventory management is a proven path to business revenue and productivity. Each year, countless number of small businesses search for better ways to improve this business process. Some large companies invest big dollars in refining their inventory control processes, yet there are many mom-and-pop shops that still manage with the humble, but ineffective, paper method. A family-owned and operated meat processor, that processes, sells and distributes USDA organic products, was stuck managing all of its products on pen and paper. Seeing the lack of communication and effective inventory management, the owners searched for a solution to tackle their meat processing needs. The ranch owners were looking to streamline their inventory control; however until now, they had manually managed all inventory counts. Because of their specific industry, USDA and government regulations needed to be followed, thus they had to track much more than a simple inventory count. 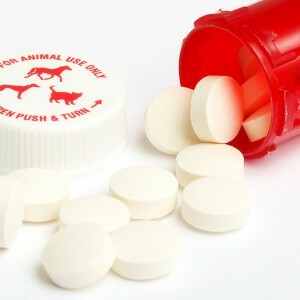 The additional solution specifics included: the date and time of the processing, the person who processed it, and even down to the specific cow. At the time, their business was seeing a growth spurt, their processing plant at full capacity – running 7 days a week – and they were in talks of farming out some meat processes to other plants. The owners told us they employed barcodes on some products, however, the barcodes were not being effectively utilized–they were only a couple of step away from an inventory solution. As a browser-based software, FlowTrac, allows anyone with access to the internet to update inventory. Because of the software’s cloud or web functionality, the meat processor had access to its processing plants all in one system. It is important that meat products – especially USDA organic items – can be traced back to its place of origin. Because they dealt with processing meat, their inventory software needed to factor in the product changes within their plant. 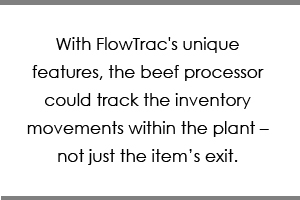 With FlowTrac’s unique software, the beef processor could track the inventory movements within the plant – not just the item’s exit. An added bonus was uncovered when they realized that errors, from warehouse workers picking incorrect lots of meat, could be easily resolved. Therefore, making sure whichever packages came in first, also left first – reducing the amount of spoilage due to expiration. FlowTrac’s management system brings unique features to match a dynamic inventory warehouse, such as this meat processor. The software was a perfect for this company and industry, however, FlowTrac can easily apply to a simple in-and-out inventory warehouse. 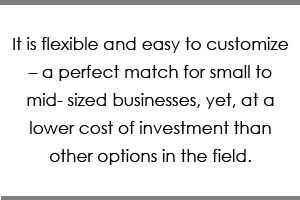 The inventory software is flexible and easy to customize – a perfect match for small to mid- sized businesses, but at a lower cost of investment than other options in the field. 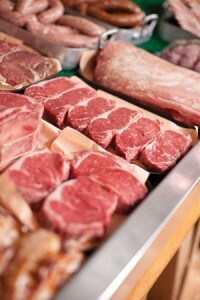 Like us on Facebook to get updated news on Inventory management software-Beef Ranch-Processor and other special offers! Our latest client in need of a barcode and tracking solution was a little different than most. They were not looking to track an active inventory for a company, but rather they were attempting to set up a simulation environment for students to learn the ins and outs of inventory/warehouse management. The client wanted to find an ideal, easy to use solution that could help educate countless students on picking and pulling inventory while maintaining accurate counts. Wasp an ideal fit for any organization that would better like to track their equipment without investing in a big ticket solution. With the introduction of Version 7, released in 2014, the software has made the leap forward into smartphone capability and will now operate on all current iOS and Android devices. This improves on the systems already flexible nature, and will allow for greater ease in tracking your company’s assets anywhere, anytime. Additionally, Mobile Asset V7 has also provided users with the ability to track which funding source was used in the assets acquisition, an important tool for many organizations, and a feature few other solutions can offer. Mobile Asset V7 is also the first time that Wasp has offered a separate version of the system, Mobile Asset EDU. This variant contains the core features of Mobile Asset V7, with several additions made specifically for educational organizations. With these improvements, and many more, Wasp Mobile Asset V7 has earned our Best Asset Tracking Software review for 2014. Founded in Plano, Texas, Wasp Barcode Technologies has been a leader in inventory and asset management solutions for over 20 years. Specializing in economic and highly effective tracking solutions for small to mid-sized businesses, Wasp offers numerous bundle packages which include both software and hardware for a complete solution. Wasp currently boasts over 500,000 active users. Like us on Facebook to get updated news on asset tracking software reviews and other special offers!